"In case you missed it, Wednesday, October 28, 1992 was the Rapture, the day faithful Christians dead or alive ascend to heaven. The Rapture kicks off the last days: the appearance of the Antichrist, Armageddon, and the Second Coming. "Lee Jang Rim, leader of the Dami Mission Church in Seoul, South Korea, spread the prophecy. Followers quit their jobs and sold or destroyed their property in anticipation, even as Rim was arrested for allegedly bilking hundreds of thousands of dollars from church members. The hysteria created a near crisis in South Korea. As many of my readers already know, the Rapture and all that end-of-the-world stuff is supposed to start on May 21, only five weeks from now. And of course, there is the biggie on Dec. 21, 2012, when a whole lot of manure is supposed to hit the Great Celestial Fan (different accounts vary, but all agree that something Really Significant is supposed to happen then). However, I just learned that the world is ending (or at least getting all messed up) at least one more time this year, probably in September, when Comet Elenin (C/2010 X1) comes to Perihelion (its closest approach to the sun). This information (more accurately, misinformation) comes to us from one Laura Knight Jadczyk, who channels messages from the Cassiopeans . Superficially this looks very similar to Nancy Lieder, who channels doomsday messages about Planet X from the Zetas . However, Ms. Jadczyk emphasises that Comet Elenin is not Planet X, and it is not going to collide with earth. The Cassiopeans explain that they are not strictly speaking extraterrestrials, but rather in some way our "future selves." This is a faint comet, now visible only with difficulty in large amateur telescopes but expected to become visible in binoculars this fall. Why is it of so much interest? For some conspiracy-oriented websites, it's primarily that the media has been strangely silent about the comet. For Ms. Jadczyk, it's because the Cassiopeans told her that the outburst of 596 Scheila, an object believed to be an asteroid that began outgassing and revealed itself to be a comet, was related to Comet Elenin in some unspecified way. She also ties this in with James McCanney's Plasma Theory of comets, and similar "electric universe" theories about comets being "electric." Just as you don't find "Creation Science" any more, just "Intelligent Design," you also don't find "Velikovskian" theories - it's now the "electric universe." As I understand it, all comets are filled with electricity according to these latter-day Velikovskiians, and so when Comet Elenin reaches the inner solar system, supposedly it's going to zap all of the planets with big lightning bolts. Ms. Jadczyk thinks that the greatest danger to earth will be on Sept. 27 and Nov. 23 of this year, although the comet will never get closer than about 21 million miles from the earth. This is indeed closer than the Earth ever comes to Venus or Mars, but still about 100 times the distance to the moon. From a standpoint of science, of course this "electric universe" stuff is all nonsense. There are no regions of "positive charge" and "negative charge" in our solar system, and the sun does not produce its energy from electricity. (According to these guys, the sun and other stars are not nuclear furnaces, but rather electric heaters, heated up by supposed massive electric currents circulating across the Milky Way, energy apparently from nowhere.) In any case, Comet Elenin will have about as much effect on earth as did Halley's Comet, which is none at all. And the Comet Elenin Doomsday will be as destructive as was Nancy Lieder's Doomsday from the imaginary Planet X in May, 2003, or that of the asteroid Toutatis in 2006. 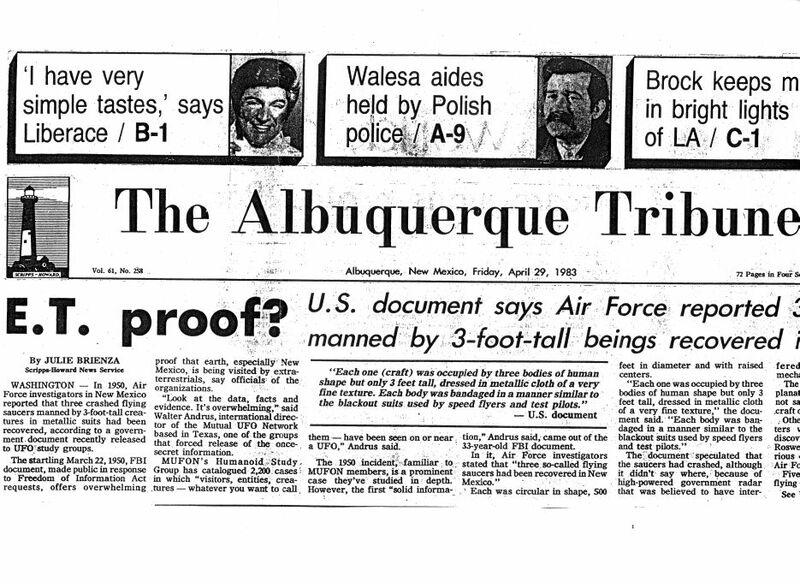 Major Media Reports 60-year-old Eighth-hand Rumor as Proof of a Crashed UFO. I was tempted to make a posting a few days back when the major media made such a big thing out of the 1950 memo written by FBI Agent Guy Hottel, repeating a yarn he'd been told. For example, see this piece from The Telegraph, The International Business Times, etc. But by the time I was ready to get started, several of my colleagues were already producing some excellent pieces so there was really nothing much I could add. 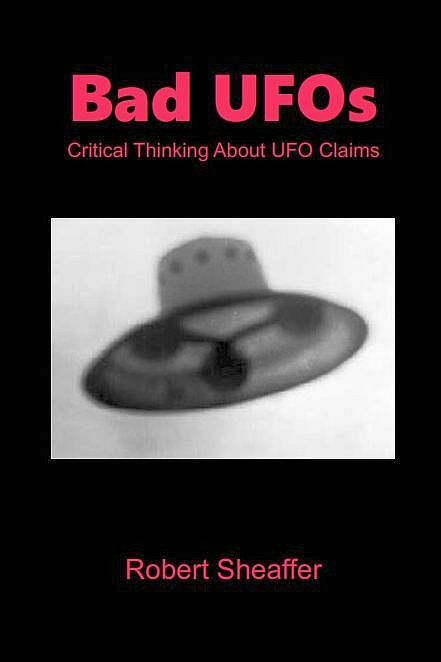 I also created a new web page about the Frank Scully / Silas Newton UFO Crash hoax at http://www.debunker.com/Scully.html . On it, you will find a three-part MP3 recording of J.P. Cahn giving a talk to the Bay Area Skeptics in 1984. So far as I know, this is the only recoding of Cahn discussing his research into the Scully Crash hoax. You might enjoy hearing Cahn tell the story in his own words. He was a very entertaining speaker. By the way, in his talk Cahn relates how he was contacted by UFOlogist William L. Moore, who was one of the first promoters of the Roswell Crashed Saucer story. Moore phoned his house and introduced himself on the telephone. Moore said "I'm an investigative reporter, and I've been looking for you for three years." Cahn questioned Moore's investigative skills, saying "you'd think he'd pick up a phone book," because Cahn had always been listed in the San Francisco White Pages. 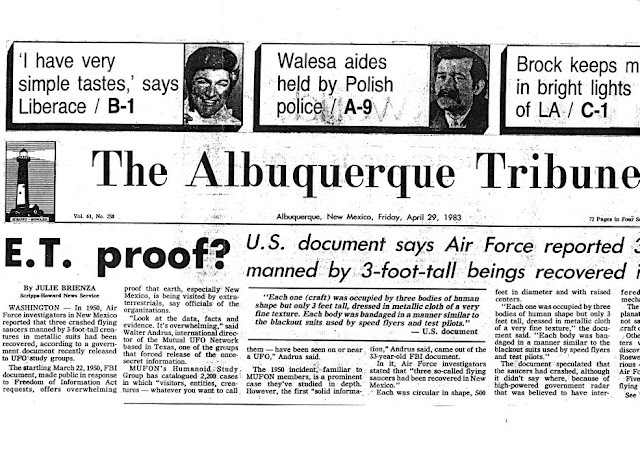 The lesson of this whole fiasco is: the next time you hear the major news media reporting some major development supposedly proving the reality of extraterrestrial UFOs, remember how they sensationalized the sixty-year-old, eighth-hand information in the FBI memo. And remember that they're in the business of grabbing readers and customers first, and only secondarily of reporting the news in factual and actual manner.